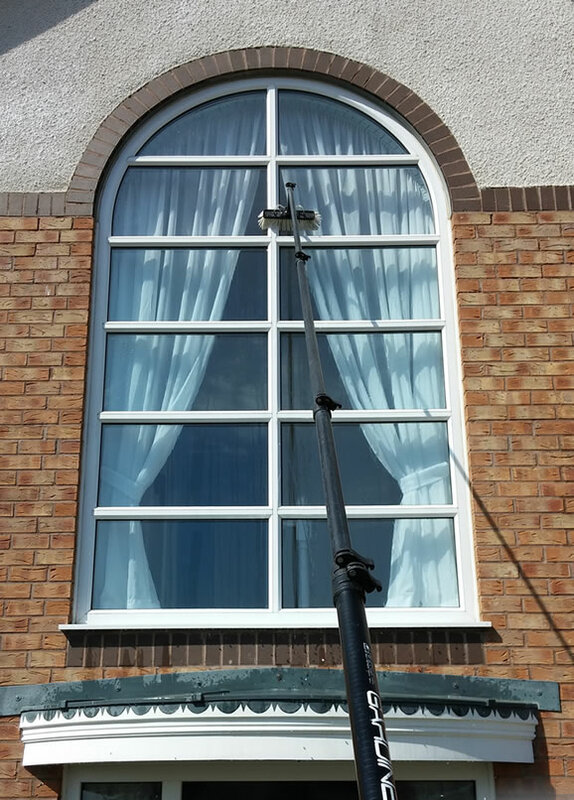 By using the latest in purified water cleaning systems we can safely deliver a cleaning solution to windows up to 3 stories in height. At CF Facilities we always use the best in cleaning materials and equipment to ensure our customers get the best finish. 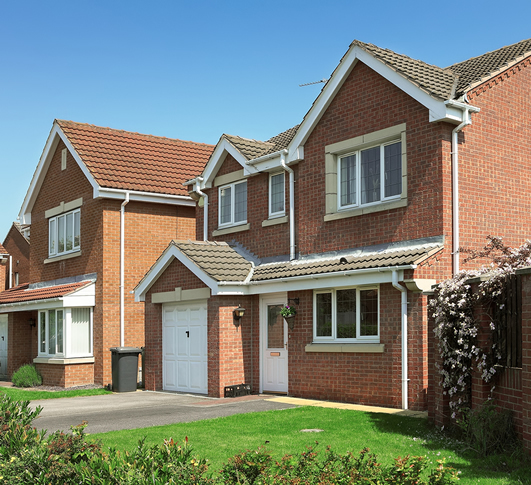 CF Facilities cleaning services include window cleaning, conservatory cleaning, gutter clearing and cleaning. Our services are available for both commercial and residential customers. 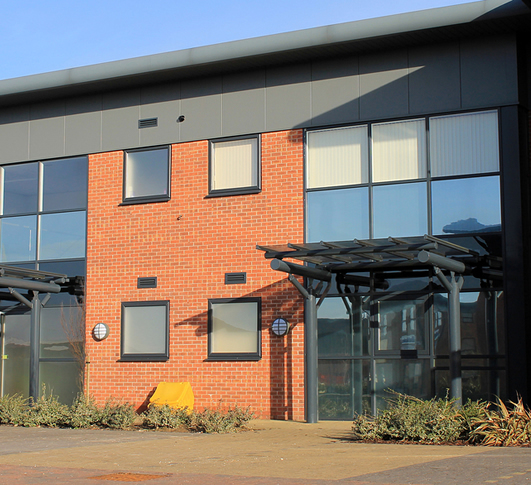 We specialise in commercial window cleaning services for offices, shops, industrial properties and businesses.. 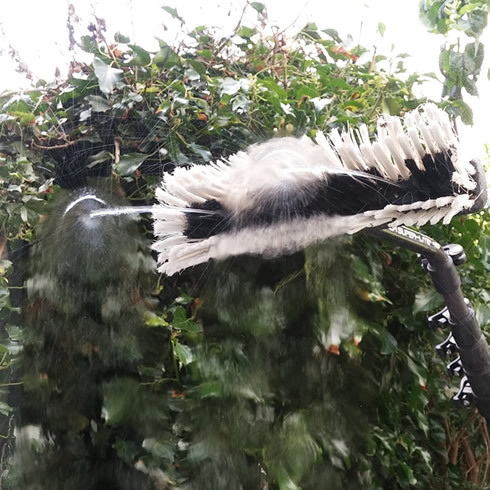 This is a tried and tested method which allows windows to be cleaned to a very high finish by agitating the dirt by use of a soft bristled brush whilst at the same time rinsing off the dirt with pure water. The windows are then left to dry naturally which will leave a spot-free and streak-free finish. Using detergents by a traditional window cleaning method leaves a thin film on the glass which attracts dirt. No chemicals are used in the water fed process just purified water so nothing gets left on the glass to attract dirt, so your windows stay clean for longer. For information visit our commercial window cleaning services page or residential window cleaning services page.